Based on federal and state records, it is estimated that about 40,000 Liberians lives in the State of Minnesota. The largest concentration of this population lives in the Brooklyn Park, Brooklyn Center and St. Paul areas. With this large population, there are at least 5,000 seniors in the Liberian community between the ages of 65 and 95 living in Minnesota. Most of these seniors are at home, retired and are unable to move around without the help of their children and others in the community. Many of them came to the United States unlettered, and unable to fully understand English. Some barely understand the English language and require some sort of interpretation in the “pigeon English” or dialect. Several years ago, the Liberian Community appealed for senior programs to be established that would create the opportunity for seniors in our immigrant community to get out of their homes and apartments to interact with others. The need for senior programs extends to adult literacy and training, health awareness programs and other activities. A survey conducted in 2017 showed that most of our seniors are unaware of federal and state laws, programs such as home care services, health insurance, social and other services outside of the Liberian Community. Seeing the need to engage this population, the Organization of Liberians in Minnesota (OLM) established the Community Senior Recreation Program. To bring seniors in our community together in a safe and cultural environment that enables them to interact with others from their tribal backgrounds. This is essential to improve their quality of life, reduce the risk of depression, reduce global cognitivist decline and enhance social connectedness. Civic Engagement: Educate Seniors about state and federal laws in a culturally sensitive manner and in their dialects to enable them to better understand what is required of them in this society. Health Literacy: Provide health awareness and preventative service information in Liberian dialects to enable better understanding. 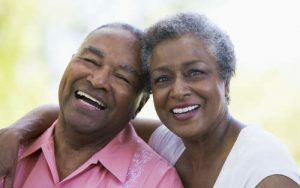 Adult Literacy: Create a safe and comfortable environment for seniors to talk and learn about activities, interact with each other; build confidence, increase adult literacy, health awareness, basic writing, computer and introduction to senior programs and services. Once a week, preferably every Wednesday, from 12-3 pm, seniors gather at the Community Center for their weekly Recreation Program. Each week a professional or specialist will do a special presentation to the seniors about programs and services, and discuss matters affecting seniors. Seniors can tell stories, discuss some of their concerns, play games, exercise and participate in activities. Lunch, snacks and light refreshments are offered. Health discussion (blood pressure check, diabetes management and other health topics). Transportation: 98% of the seniors need transportation to and from the Community Center. Sponsors: The program require sponsors and or funding to cover the cost of hosting the event, transportation, food, supplies, and other necessities.